The most important part of interacting with someone with a disability is seeing that person for who he or she is, not what disability they have. 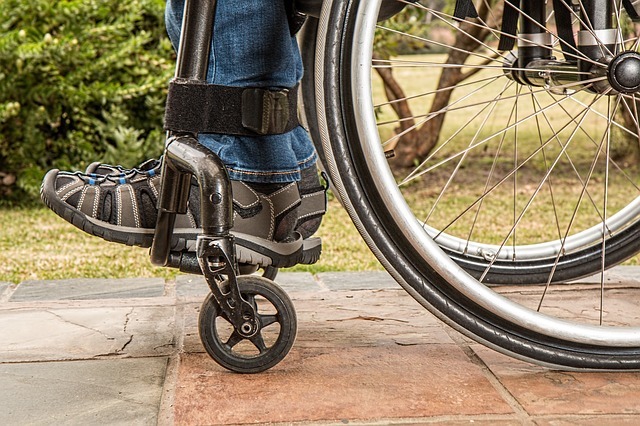 Avoid using terms that put the disability first or victimize the person, such as “wheelchair-bound.” Instead, use the phrase “person who uses a wheelchair.” To read more about people-first language, refer to this article. When speaking with someone using an interpreter, speak directly to the person with the disability and not the interpreter. Ask if he or she needs assistance before providing it. It can be disempowering for the person when others assume they are incapable of completing a task, especially if they’ve worked hard to be able to do so. Don’t ask questions about the person’s disability. They will share if and when they are ready. Always speak to, and approach the handler first. Do not whistle at or talk to the dog. Do not pet the dog. Remember, the dog is working and needs to stay focused. Please do not feed the dog. Keep your own pet a safe distance away from the dog and its partner. July 27, 2018 It’s the Law!